We have created this page to promote astrological awareness and education. The articles listed below are original and are copyrighted © by the authors. Each of the articles is unique, and reflects the author's individual perspective on various subjects in astrology. Each author's writing style is also unique and communicates and relates to the reader in a particular way. We hope you enjoy your visit and hope that this service is of benefit to you. Feel free to recommend this page to your friends! Click on the titles below to read the article. 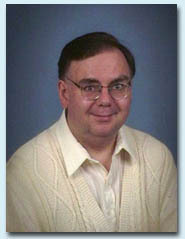 David began his astrology practice in 1973. 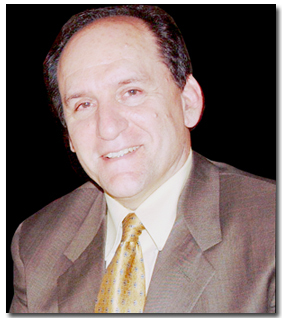 He is a well known speaker in astrological community and astrological conferences. His lectures are well attended and well received. He is the founder Cosmic Patterns Software Inc., and is the lead software programmer of the development team that makes the Kepler and Pegasus astrology programs. He received a B.A. degree in 1972 with a major in psychology. He graduated from UF on May 8, 2018, A Masters Degree in Research and Evaluation Methodology. Can Enlightened Consciousness Bring Astrological Knowledge and Wisdom? Click on the book title below to open the PDF document. This book provides a literature review of the meanings of harmonic aspects and a detailed study of famous people who have the strongest harmonic charts. This comprehensive presentation of the meanings of harmonics is essential reading for anyone interested in harmonic astrology. Wim van Dam, M.A. was born at Haarlem, Netherlands, 26 July 1950, 13.13 GMT (ascendant 9 Scorpio, Wim is not ashamed of revealing his horoscope to his fellow-astrologers since he has got Uranus very well placed and a ninth house filled by a proud stellium in Leo). At the age of seventeen, after finishing high school where he excelled in latin, greek and hebrew, he decided to study Slavonian languages for the simple reason, he did not know anything about them. He would have finished this study in the five to six years it took officially, if not some funny thing had happened on the way to his M.A.. November 1968, in a Leyden bookshop, he most unexpectedly happened upon a Handbook for Astrology (in Dutch). Freshman Wim was perplexed to suddenly hold such an example of medieval superstition in his hands and, unbelievable though it seemed, the authoress, some Else Parker, wrote most seriously about the subject, as far as he could see! Wim bought the book at the spot for the very reason he did not know anything about astrology. He was most curious to see how this Else Parker would explain her belief in these apparent nonsense. "I wasn't even interested in whether astrology was true or not, I just wanted to know what these mysterious drawings actually meant, how they were related to both the planets' positions and people's lifes. So I bought some cheap tables and cast my horoscope and that of several people I knew without drawing conclusions about the value of astrology. However, one and a half year later, I was to leave for Russia for the first time and some five weeks before this I calculated that about that time, my secondary Mars from my twelfth house was to come into a square to my radical sun in nine. That ninth house was clearly related to the first major journey in my life. But what about this twelfth house? Places of loneliness... secret services... boarder schools... barracks... of course: prisons! Remember that in the beginning of the seventees the USSR was at the height of its power and the Iron Curtain was completely closed. Nowadays I would not consider leaving under such a constellation but at the time I did not believe very much in astrology. Nevertheless I deliberately did not inform my parents, but I told my best friend and his sister I was worried a little. One never knew with this astrology. They comforted me smilingly: "Wim, when you return, please give us a call and then you will be glad to report nothing has happened. " When I returned from Russia, I called them immediately and I still can hear my friend Jan asking mockingly, "Well, Wim, anything happened to you?" How astonished he was when I told him I had been in hospital in then Leningrad for three days because of an infection at my right ankle. Of course! Twelfth house! Hospitals! (And feet !) How well I remember that one night when, turning myself around and around in this hospital bed, I groaned "What a pity, first time to Russia and whoop, into hospital! And if I'm to believe my horoscope, something awful is to happen to me abroad soon too.. My God, this is that something! Good heavens, astrology is true!" So I was converted to astrology by practice, as most of us. Sceptics often think we astrologers WANT astrology to be true, but on the contrary, leaving aside mystical types like followers of Blavatzki and Jung, I don't know any serious astrologer who thought on beforehand astrology must be true, almost all of them were, like me, willy nilly converted because they saw at least one most improbable prediction come true." In fact, the square to the Sun in nine, ruler of ten, proved to be effective in another negative sense. Wims study was severely delayed because he devoted much of his time to astrology. Somehow he was convinced he was to make some major astrological discovery after which, as he felt it, acquiring his M.A. would be a piece of cake. And so it happened: for more than four years Wim devoted most of his time to the age-old enigma of Ptolemay's primary directions until January 1976, when suffering from a heavy Pfeiffer (primary Mars, ruler of six, together with primary cusp 12 conjunct to radical acendant), he finally found the right formulae. And not only these formulae explained his illness, one more indication they were right, they also told him that in about half a year he was to have primary Sun in ten, ruler of ten and radically positioned in nine, in a trine to his Moon in Sagittarius, ruler of his ninth house. This could only mean an M.A. 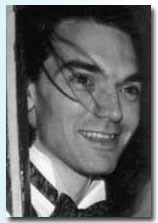 And indeed, although his Pfeiffer prevented him from studying effectively more than a few hours a day and in spite of the many examinations that for years had been lieing in wait for him to be fulfilled, Wim "as born on angels wings", graduated in the afternoon of Friday July 9th 1976, on the last possible day before the academical year was to take an end. This was Wims first prediction made by means of his own primary directions. When one year later, his secondary Sun got into a trine to his Moon, nothing special happened. With Saturn (ruler of three, languages) in ten, Wim was not to find a permanent job easily. Besides, he first had to keep himself out of the Army, which he succeeded in thanks to the false testimony of an outstanding physician, father of another good friend, who bluntly stated in an official declaration that Wim was plain mad. In fact, this physician was Wim's greatest astrological fan and he thought Wim should devote his time to astrology rather than to serving Her Majesty. After this, Wim was twice unemployed for about a year which he did not regret very much since, being used to scholarship, he could easily make a living from unemployment benefit and once more he could devote most of his time to astrology. These years coincided with the arrival of the first generations of programmable calculators and PC's so that he had the time to get acquainted, for astrology's sake, with programming computers. And this in its turm led to the unexpected side effect that by now he has been working as a computer programmer for some 25 years at Leyden University Hospital. M. Temple Richmond is an astrological consultant with 25 years of experience serving the material and spiritual interests of individuals and businesses. She specializes in identifying profitable times for investing, purchasing real estate, making market trades, establishing new business entities, and in selecting advantageous time intervals for signing important documents, holding interviews or meetings, making presentations, or for holding workshops and seminars. She is an experienced money manager who has profitably managed her own financial resources on the basis of planetary pair theory and personal transit indications, recently doubling her money in a stock trade while the broader market was at plateau. Richmond is also an esoteric astrologer in the tradition of Alice Bailey and the Tibetan. For purposes of business analysis, she uses the standard methods of exoteric astrology, some of which are mentioned above. For matters concerning discipleship and initiation, she uses the esoteric system of Bailey and the Tibetan. M. Temple Richmond has been actively involved in all aspects of astrological study and practice for over 25 years. A consulting astrologer since the late 70s, she is also an internationally recognized scholar of the esoteric astrological system advocated by the books of Alice A. Bailey, as well as a presenter on a broad array of topics at metaphysical conferences and in academic venues. Richmond is the author of Sirius, a scholarly study of the influence of that important fixed star as viewed through the Alice Bailey literature, Egyptian religion and the classical mystery teachings of antiquity. Sirius is distributed worldwide by the following distributors: New Leaf of Atlanta, Lucis Publishing Co. of New York City, Lucis Publishing of London, and Sydney Goodwill of Sydney, Australia. Richmond holds a B.A. in English from the University of Arkansas at Little Rock and has been inducted into Phi Kappa Phi, a national academic honor society. She is a 1951 Sagittarius Sun with Aquarius rising, born December 8 at 10:34 AM CST in Texarkana, Arkansas. The state of North Carolina has been Richmond's home for over 20 years; she maintains a special interest in the connection of the city of Raleigh to Sir Walter Raleigh and Francis Bacon's literary circle, together with the progressive ideas which emanated from that milieu and which figured in the founding of the Carolinas, the Virginias, and ultimately, the United States. On this topic, Richmond presents local workshops entitled "The Secret Tradition of Raleigh," which bring together history, mystery teachings, and astrological indications to highlight the role of the Raleigh area in the emerging Age of Aquarius. Benedict Elie is the author of the French Elie Natal Report. Benedict lives in Québec city. He works in accounting, information systems, business administration, security controls and project management. He is very much interested in the study of spirituality, astrology, philosophy and theology. He has been practising astrology, on a part-time basis, since 1970. Benedict has studied the foundations of astrology with the Rosicrucian Fellowship. He has also read many books on astrology and spirituality. One of the books he prefers most is "The Rosicrucian Cosmo-Conception", written by Max Heindel. 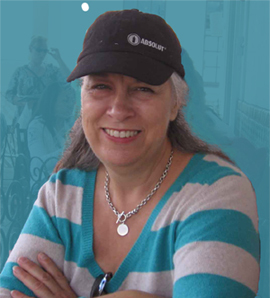 Donna Cunningham is an internationally-respected author of books, articles, and columns about astrology, flower essences and other	metaphysical	topics. 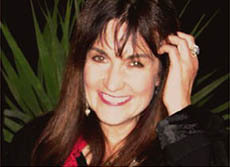 Her insights reflect her dual background in astrology and psychotherapy. Donna has a Master's degree in Social Work from	Columbia University and over 40 years of experience	in	working with people. Her ebooks can	be found at Moon Maven Publications (http://www.moonmavenpublications.com) Visit her blog at http://skywriter.wordpress.com. Donna Cunningham's trilogy: "The Outer Planets and Inner Life" has just been released. Volume 1 explores the outer planets as career indicators. V.2 discusses outer planet aspects to Venus and Mars. V.3 goes into depth on aspects between the outer planets and the social, cultural, and historical changes that accompany. Visit http://www.moonmavenpublications.com for details. Saturn Transits — What do They Mean to your Career? Mars-Pluto Aspects — What Determines How They're Used? Tara Cochrane is an artist and writer who lives in Austin, Texas. Her website is www.TaraCochrane.com She is also author of the Nakshatra Report option. Click here to view this report. She also authored the Talisman Images which can aslo be purchased from Cosmic Patterns Software, Inc. Click here to view details of this software. Marc is a full-time practicing astrologer in California, author of several astrology books and hundreds of articles, an international speaker, and a data collector and researcher. He is a major contributor to the database of charts contained in Kepler. Marc Penfield was born in Chicago. He developed an early love of astrology and geography which he has blended with this knowledge of astrology. Marc was a travel agent for over 20 years and a cataloguer for a used bookstore where he gained considerable bits of data which he uses in his books. Marc is now a full time astrologer and he divides his time between his home practice and his office in Sherman Oaks, CA. Marc Penfield was the first treasurer of the ISAR (1976) and in 2005 received a lifetime service award from ISAR at their convention in Chicago. Marc has also written hundreds of articles for Mercury Hour, Aspects, Welcome to Planet Earth, The Mountain Astrologer, and the Monthly Review which is published in Australia. 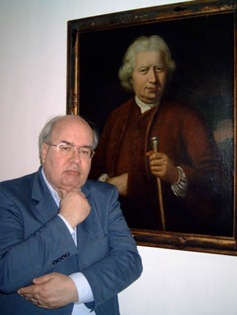 Aleksandar Imsiragic is the director of one of the largest schools of astrology, the Johannes Kepler Institute of Astrology in Belgrade. He also teaches many of the classes at the Institute. He is author of eight astrological textbooks on natal astrology, karmic astrology, fixed stars, degree meanings, Arabic Parts, and the astrology of relationships. He has also published books by other astrologers, including translations into various languages. He has organized the annual International Astrological Balkan Conference in Belgrade since 2000. The Balkan Conference is recognized for the high level of professionalism and progressive ideas presented by excellent astrologers from around the world. Alexandar and his wife Lea work cooperatively with various astrological organizations and astrological enterprises, including ISAR, the Avalon School of Astrology, and Cosmic Patterns Software, Inc.
Alexandar also speaks regularly at various international astrology conferences and symposia and is widely respected for his broad range of knowledge in astrology, creative and innovative ideas, and enthusiasm for taking positive and realistic steps to promote astrology and raise the professional standards of astrology. Lorna Houston is the author of Personal Security Report, Nature Appreciation Report, and World Peace Report. Each of the above reports is $125. If you purchase all 3 reports, the price is $300.00. Lorna also wrote the Chakra Healing Report, Prosperity Report and Life Awakening Report. Lorna was first introduced to astrology in 1973 and began practicing it in 1987. She has a background in psychology. Lorna co-authored scientific, empirical studies of astrology and crime patterns with Francoise Gauquelin. Francoise Gauquelin published these studies in France in her journal "Astro-Psychological Problems: The Schneider-Gauquelin Research Journal" and in the United States in the "Journal of the National Council for Geocosmic Research". Lorna has done crime prevention community work and offered astrological input to the police for homicide investigation. She is also a naturalist. 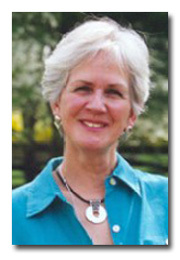 Her nature articles have appeared in the "Toronto Field	Naturalist" and "Conscious Country Magazine". She has also sold greeting cards that feature her nature photographs. 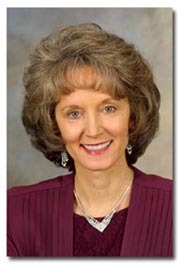 Mary Fortier Shea has a Masters Degree in Counseling Psychology. She is the author of the Planets in Solar Return Report and the book Planets in Solar Return. Mary is an internationally acclaimed author, lecturer, counselor, and astrologer. A lifelong student of mysticism and metaphysics. Mary integrates spiritual principles with psychological concepts to foster personal growth, give clarity to life purpose and vocation, and harmonize the body, heart and mind. Her readings are spiritual, as well as psychological and practical. For the past 30 years, Mary has developed and conducted creative education programs on astrology and pathways to Higher Consciousness. Mary is also a certified Flower Essence Therapist. She is co-creator of the "Good Days Action Planning Guide", a yearly electional datebook. Van Golay has been a professional astrologer for many years now. Van has studied astrology since 1973. Van is a certified Professional Astrologer with ISAR, and a member of AFAN, and the South Florida Astrological Association. He has published a few articles on mundane astrology and some original ideas on the astrological glyphs. Much of his free time is spent researching the biology of aging and he is working on a book on the astrology and biology of messiahship . Lynda Hill, FAA Pract. Cert. has been a professional astrologer for over 15 years. 2005 marked her 21st lecture tour of the States, in addition to the many lectures she has conducted for astrologers and the public througout Australia, England, Scotland, Wales, Ireland, Russia, South Africa, New Zealand and Canada. Lynda is the astrologer for Good Taste and Take Five, and writes astrological commentary for publications all over the world. She divides her time between Sydney's beautiful Northern Beaches and the World Heritage-listed Blue Mountains (when she's not travelling the world delivering lectures!). Marcha Fox, B.S., physics and minor in English 1987 from Utah State University. She retired from NASA's Johnson Space Center in Houston, Texas after a twenty-three year career in the aerospace industry. She worked with the space shuttle for most of her career in a variety of capacities ranging from engineer, database designer/programmer, and technical writer to manager. Following the Columbia accident in 2003 she participated in the recovery efforts in East Texas and subsequently researched the astrology of this accident as well as the Challenger and Apollo I fire with the results published in the Leo 2006 issue of the ISAR Journal. She's an International Academy of Astrology (IAA) graduate as well as a former instructor and conference speaker. As a physicist she is deeply aware that the most profound questions in the universe are yet unanswered. When those answers are found, she believes that the truth and mechanism of astrology will be among them. The great truths of science, religion and astrology, which were once united, have been separated too long and she looks forward to the day when they're once again reconciled as they were in the beginning. It is her fondest desire to contribute to uncovering the scientific basis for spiritual phenomena such as astrology, intuition, telepathy, psychic insights and so forth. You are invited to send in an original astrology article, to help promote high quality astrology on the Internet. We do not pay for articles, but this is a good way to get greater exposure for your work. If you have an original astrology article that you would like to be added to this list, send it to us at kepler@astrosoftware.com in RTF format. Please include a short biography with the article. All chart wheels used on your article must be created from Pegasus, Kepler, or Sirius program. A statement that the article is originally created by you is also required. Other restrictions applies. If you are interested in quoting sections of any of the articles posted here, send us an email and request for authorization at kepler@astrosoftware.com We will then forward your message to the authors.